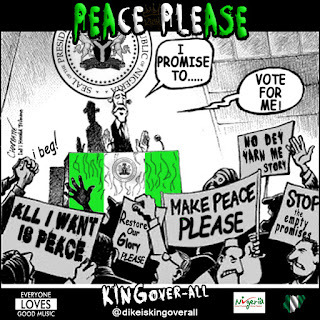 Sensational Peace Song titled "PEACE PLEASE" by KINGover-all. "It does not matter who leads or what the agenda is. All I want is Peace Please". In one of its very special kind, a sensational peace song embracing national unity. 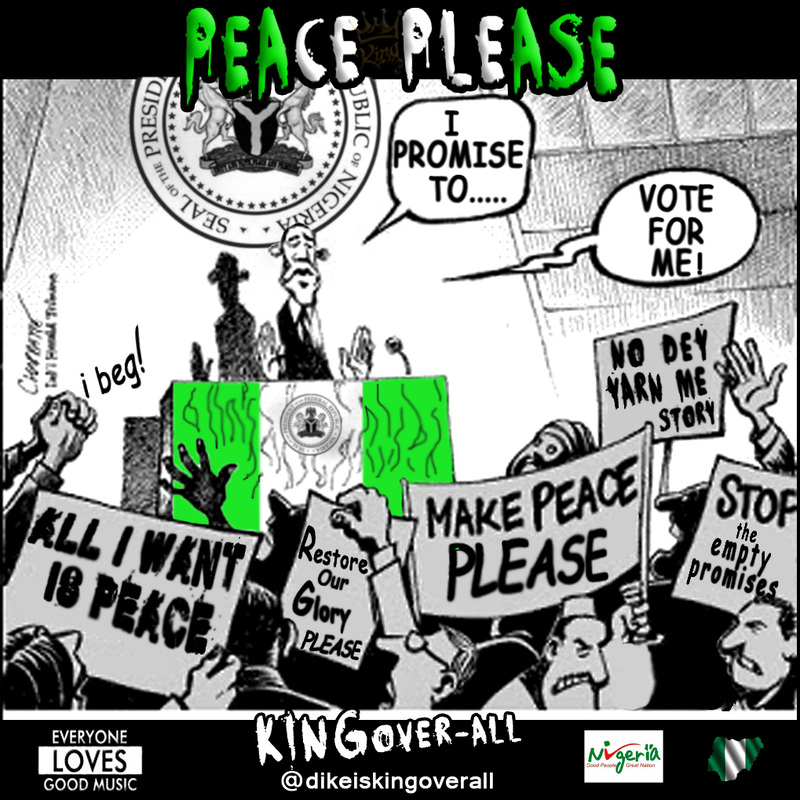 Producer KINGover-all releases his new soulful song titled PEACE PLEASE. believing that every vote counts, and to vote for Peace he Pleads. Enjoy!